TEM grids are produced using the latest electroforming and etching technologies, enabling very fine bars and features to be achieved. Square mesh and hexagonal mesh grids are available as high transmission and ultra-high transmission grids. Gilder Grids have extended their range of TEM grid materials to include four types which are now available on Molybdenum. These grids are manufactured by the process of ‘chemical milling’ (etching) rather than the normal technique of ‘electroforming’ or deposition. Molybdenum is used in applications where its high temperature, hardness, expansion coefficient and corrosion resistant characteristics are considered important. Four types of Molybdenum grids are available, 100 and 200 square mesh grids, 2 x 1mm Slot grid and an Aperture or round hole grid with a 1000mm hole diameter. The material used is high purity 99.9% Molybdenum. 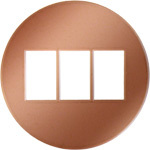 A new 3 x 1mm copper slot grid has also been introduced which features two strengthening bars. The grid is 50 micron thick. A special range of Finder grids have also been developed for both TEM and SEM applications incorporating base two binary numbering systems and alpha-numeric codes. Grid patterns include Standard Square Mesh Grids, Parallel and Rectangular Mesh Grids, Hexagonal Mesh Grids, Aperture Grids, Slot Grids, Fine Hexagon Mesh Grids, Fine Square Mesh Grids, Folding Grids, and Finder Grids. Grid storage boxes for holding 50 or 100 grids are also available. Features of Standard Mesh Grids include an Asymmetrical mark in the rim of the grid which allows for precise orientation of the grid and aids the identification of each side. More recent grids have an Asymmetrical centre marking, enabling the four quadrants of the grid to be distinguished. Older grids have a ‘reverse arrow’ centre marking, enabling each half of the grid to be distinguished. Fine Mesh Grids have an Asymmetrical mark in the rim similar to that found in the Standard Mesh Grids. Some of the ‘HH’ series Fine Hexagonal Mesh Grids have a centre marking which effectively divides the grid into six distinguishable areas. Older ‘HS’ and ‘HH’ grids have a circular tab on the rim to aid in handling the grid with tweezers. Grid Storage Boxes manufactured by Gilder Grids are intended for use in both routine grid handling and for long term grid storage. Their ease of use makes them ideal for grid handling and viewing; their high packing density and compact flat shape makes them well suited to the long-term storage of catalogued specimens. The new SB50 grid storage box is designed for the routine handling and long- term storage of 50 standard size TEM grids. The new ergonomic design incorporates several features that overcome the disadvantages associated with storage boxes of the more conventional sliding cover design. The SB50BN has a unique number on the face of one end. The standard SB100 grid storage box holds 100 grids in diamond shaped pockets and will accept either 2.3mm or 3.05mm grids. The grid positions are located by an alpha numeric map reference printed in blue, chosen for its visibility under safelight conditions. The box and lid are precision injection moulded from plastics chosen for their sliding action and are anti-static treated. A central access position in the lid reduces the number of grids exposed when selecting any particular grid. Again, these boxes are available with a unique number, which eliminates placing the grid in the wrong box. 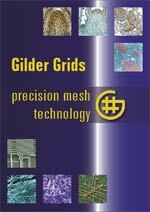 Emgrid Australia Pty Ltd is proud to represent Gilder Grids in Australia and New Zealand. The principal of Emgrid Australia, Graham Tranter has been associated with electron microscopy and histology specimen preparation techniques for over 40 years and is able to offer assistance on a wide range of applications including specimen preparation and sectioning techniques for room temperature, cryo preparation and material science.